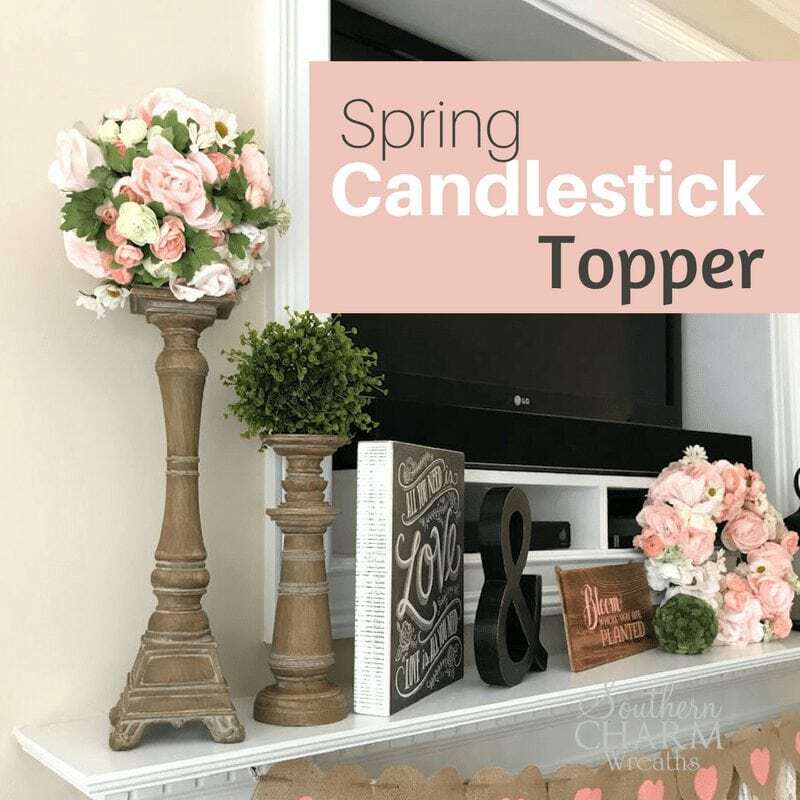 If you can’t find the perfect candle for your candlestick, why not make a super simple Spring Candlestick Topper? Today we’re breaking out beautiful Spring colors to make this fun DIY Silk Flower Easter Door Hanger! This post contains some affiliate links for your crafting convenience. Click here to read my full disclosure policy.